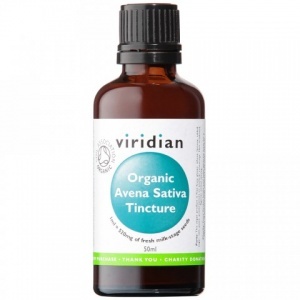 A Vogel Avena sativa is a traditional herbal nerve tonic. Mild sedative properties. 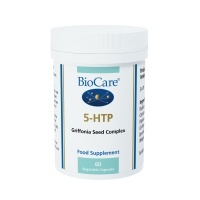 Biocare 5-HTP for normal brain function and nervous system activity. 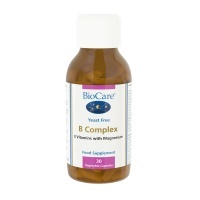 BioCare B Complex -helps release energy from food to help growth, development & function of the nervous system. 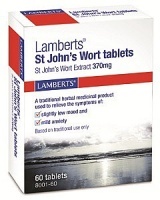 A unique, high potency combination to support nerve health and cognition. 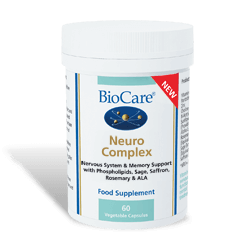 A combination of nutrients designed to help normal brain cognitive function, nerve activity and memory. 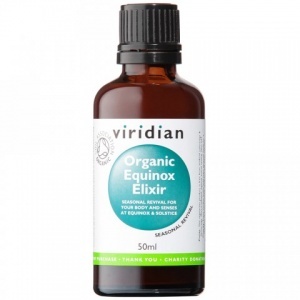 High potency combination to support a balanced nervous system. 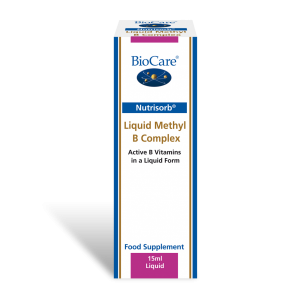 Nutrisorb¨ Liquid Methyl B Complex provides metabolically active forms of B vitamins including vitamin B12 (as Methylcobalamin) and folate (as Methylfolate). 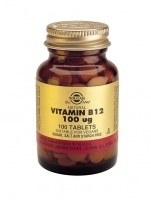 Higher Nature B-Vital health supplement is packed with nutrients to maintain energy and immune system and so support a busy & demanding lifestyle. 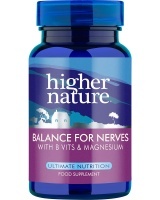 Higher Nature Balance for Nerves is an health supplement for nervous system health provides a special formulation of vitamins, amino acids & Magnesium. 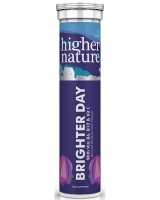 A tasty, natural blackcurrant flavour drink to help when youÕre feeling down in the dumps. Useful in the darker, colder months. 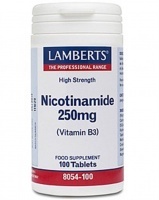 Lamberts Nicotinamide (Vitamin B3) for healthy nervous and digestive systems, and healthy skin. 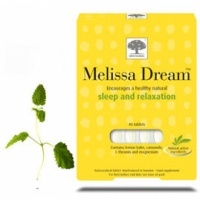 New Nordic's Melissa Dream™ tablets are recommended to people who want help to maintain a healthy calm sleep and relaxation. 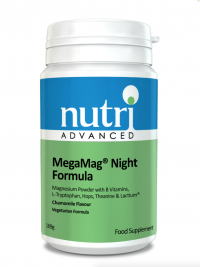 MegaMagå Night Formula is a high strength magnesium formula incorporating l-tryptophan, l-theanine, hops and Lactiumå, a milk protein hydrolysate. This tasty powder mixes with water to make a chamomile flavoured drink. Nutri Relax - Magnesium, Taurine and B Vitamins that provides a blend of nutrients to support the healthy function of the nervous system. 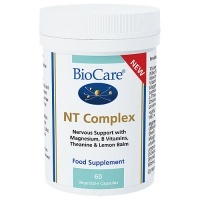 Healthy digestive, energy and nervous system. 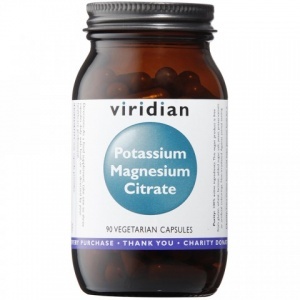 For health of circulatory and nervous systems. Supports energy metabolism. 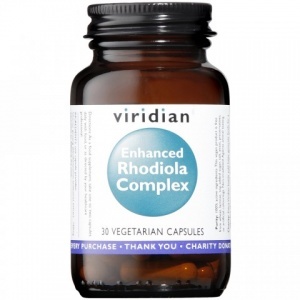 For healthy circulatory and nervous systems. Supports energy metabolism. For proper coagulation (blood clotting). Popularly recognized as a nerve tonic. Revival for your body and senses.